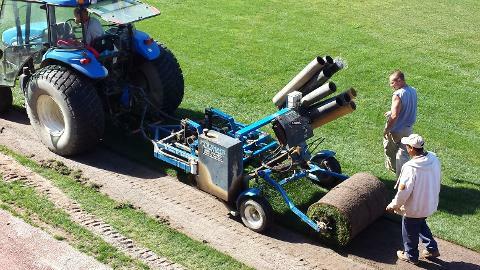 (WHITAKER BANK BALLPARK, Lexington, Ky.) New sod will soon be installed on the field at Whitaker Bank Ballpark, home of the Lexington Legends, and the old sod will find a new home - in fact, it likely will find several new homes. Part of the sod that is being taken up at the ballpark has been donated to Habitat for Humanity, where it will be available for purchase at Habitat's ReStore, 451 Southland Drive. The ReStore is a home improvement resale store that sells donated new and gently used furniture, home accessories, building supplies and appliances. Proceeds from sales at the Re-Store benefit Lexington Habitat for Humanity's mission to build affordable homes for Lexington families. "We were excited to get the call asking if we could accept some of this sod," said Jim Kreiner, director of the ReStore, a home improvement resale store that sells donated new and gently used furniture, home accessories, building supplies and appliances. He said since current Habitat homes were not quite ready for sod to be laid, the donated sod would be made available for sale at the Re-Store. "The Legends have had a long-standing partnership with Lexington Habitat for Humanity," said Legends President/COO Andy Shea. "Habitat came to mind immediately when we began this project." 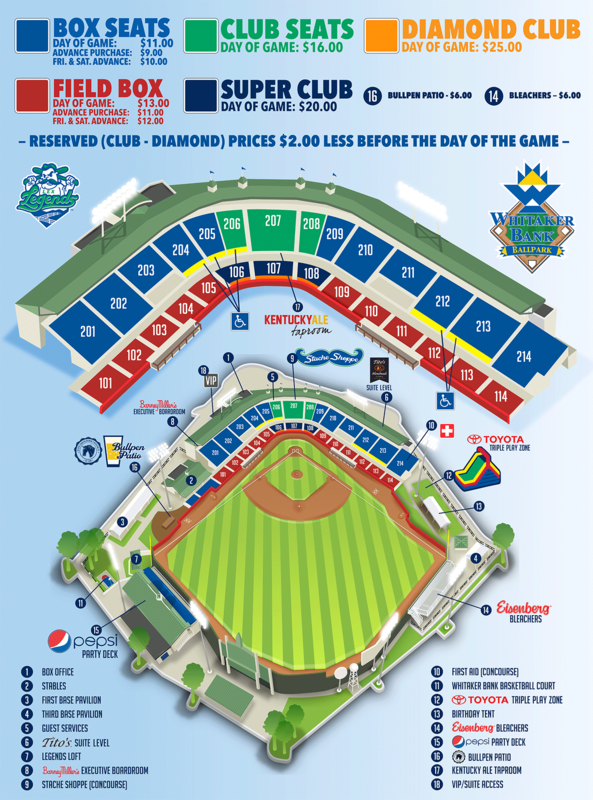 Installation of new sod at Whitaker Bank Ballpark is scheduled to begin later this month.